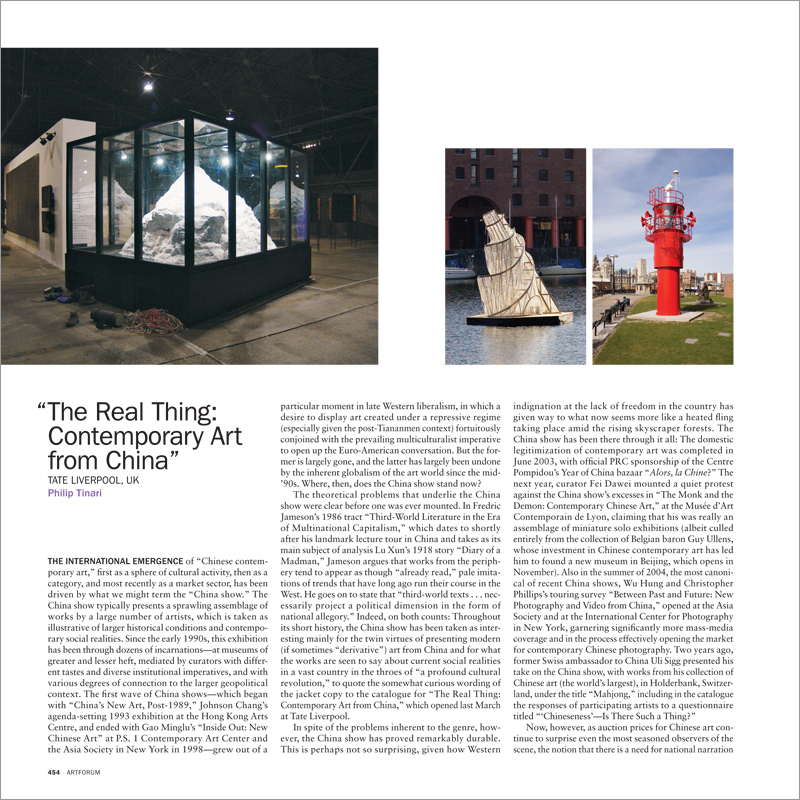 THE INTERNATIONAL EMERGENCE of “Chinese contemporary art,” first as a sphere of cultural activity, then as a category, and most recently as a market sector, has been driven by what we might term the “China show.” The China show typically presents a sprawling assemblage of works by a large number of artists, which is taken as illustrative of larger historical conditions and contemporary social realities. Since the early 1990s, this exhibition has been through dozens of incarnations—at museums of greater and lesser heft, mediated by curators with different tastes and diverse institutional imperatives, and with various degrees of connection to the larger geopolitical context. The first wave of China shows—which began with “China’s New Art, Post-1989,” Johnson Chang’s agenda-setting 1993 exhibition at the Hong Kong Arts Centre, and ended with Gao Minglu’s “Inside Out: New Chinese Art” at P.S.